Jump The Shark is a riotous compendium of those priceless moments when the magic vanishes, the ratings go south, and the mighty become the fallen, covering everything from television shows to athletes to politicians (who would have guessed a blue Gap dress could send Bill Clinton over the shark?). From the creator of the immensely popular website that has coined a catch phrase comes the book that is bound to be the pop-culture sensation of the season. But beware: these shark-infested pages will leave you in stitches and wondering where the insidious fin will pop up next! 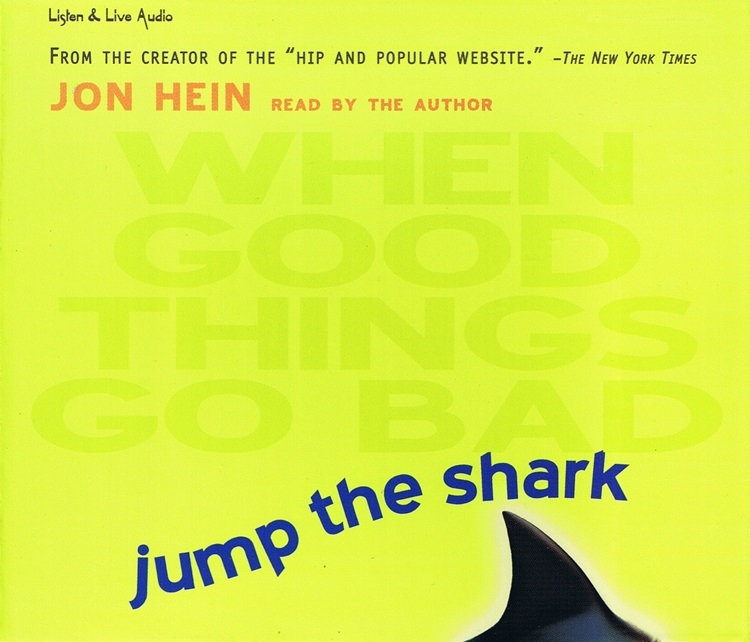 Jon Hein is the creator of jumptheshark.com, an award-winning website that gets over four million page views a month. He has contributed articles to Esquire and TV Guide, and has been featured in USA Today as well as on NPR, The Howard Stern Show, and Good Morning America. He lives with his wife and two kids in New York. "... taking aim at not only TV shows, but also musicians, celebrities, athletes and politicians." " Hein does a credible job reading his own work, and it's hard to disagree with most of what he says."